Lucy Weber, a longtime member of the Seattle Opera Chorus currently performing in Medea with Seattle Shakespeare Company. 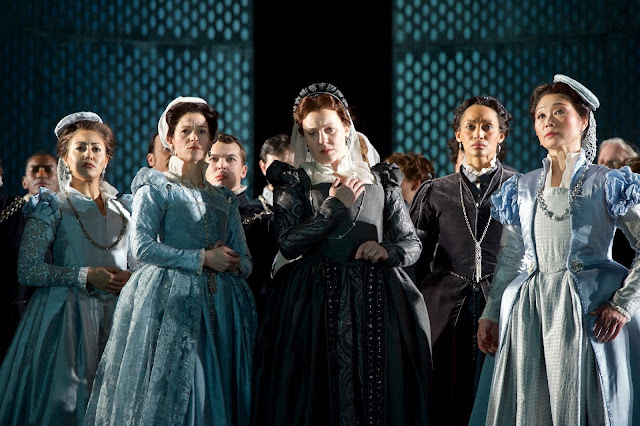 The Seattle Opera Chorus is made up of extraordinarily talented individuals. Under the leadership of Chorus Master John Keene, they can make us laugh as one of many zany characters in Count Ory, or tug at our hearts through the powerful "Va, pensiero" in Nabucco. Today, we talk to one of these accomplished singers. 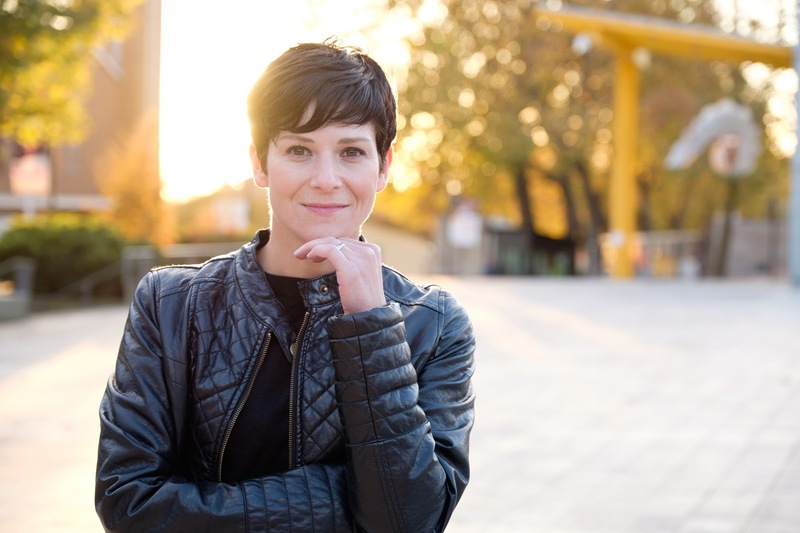 Lucy Weber has performed in mainstage productions such as Mary Stuart and Madame Butterfly, as well as at schools all over Washington State in Our Earth. But Weber, a lover of theater as well as music, doesn't limit her gifts to simply McCaw Hall. Currently, she is performing in Medea with Seattle Shakespeare Company. What’s your favorite thing about being a performing artist in Seattle? I love the richness of talent here; many performers I have met literally go from job to job and stay employed fairly regularly. There was an article about how Seattle theaters try very hard to hire local talent. On the other hand, with so many talented people, it's also a highly competitive place. I feel very fortunate that I am able to perform semi-regularly with the Seattle Opera Chorus. I also love singing for the company's Education & Community Engagement Department; that keeps me pretty busy throughout the year. How did you get into singing/opera? I always had a passion for singing, but actually came to opera through theater and musical theater. Acting was a huge passion of mine in junior high and high school. After graduating, I considered making that my main focus, but ended up studying English and Journalism and pursuing theater on the side. When I was 25, I became interested in singing again, which is around the time most opera singers are beginning their careers. I had a voice teacher who felt I could do it, even if I was kind of late in the game. I feel like I am just finding my voice now; The Seattle Opera Chorus has helped me grow and develop. Proudest moment as an artist? 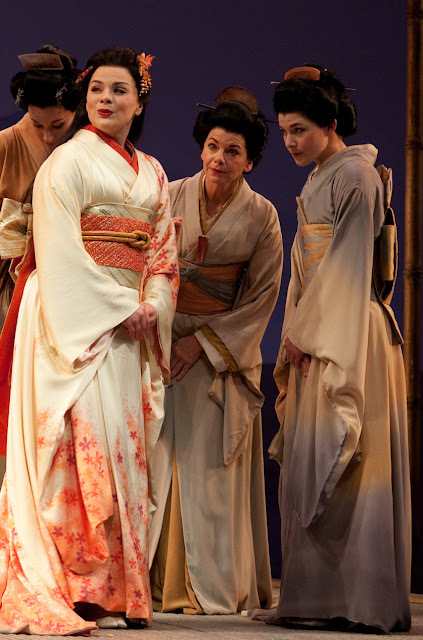 I have several, but one was particularly unexpected: I was asked to cover Sarah Larsen when she performed Suzuki in Madama Butterfly (2012). I was so humbled and honored, and it was a great opportunity for me as a singer. She is the most wonderful person; warm, generous, positive. I learned so much from watching her work and approach her role. Being an artist in general is pretty humbling. However, being in Medea and working with these actors has been extremely humbling. 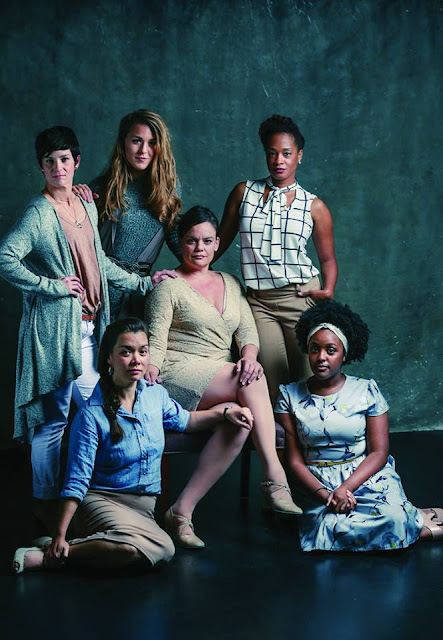 The seriously talented women in this show work regularly in theater and musical theater in Seattle. They, as well as director Kelly Kitchens, have been nothing but supportive and welcoming. Talk about the single most challenging moment in your career as an artist. Being both a mom and a performer is challenging. I feel so fortunate to be a working artist with a supportive family. But the reality is, I am often gone for soccer games, birthday parties, trick-or-treating...I've talked to other working mothers in this play and we talk about what it's like to juggle it all. We also ask a lot of our spouses; they take on the main parenting responsibilities when we are in rehearsals and performances. Finding that balance is really important. Singers are asked to do a lot more than sing; we have to be both musicians and actors, and this is actually very physical work. In opera, all our emotions are written for us, but we have to tell the story in an honest way that seems organic and spontaneous. I don't know if people understand how hard singers are working to tell the story that the audience is wanting to see and hear. I'm always in awe of the volume that the human body can create. Music and theater are so central to who I am. I can't imagine my life without them, but my family is what inspires me to work hard, to get up, and to stay focused.